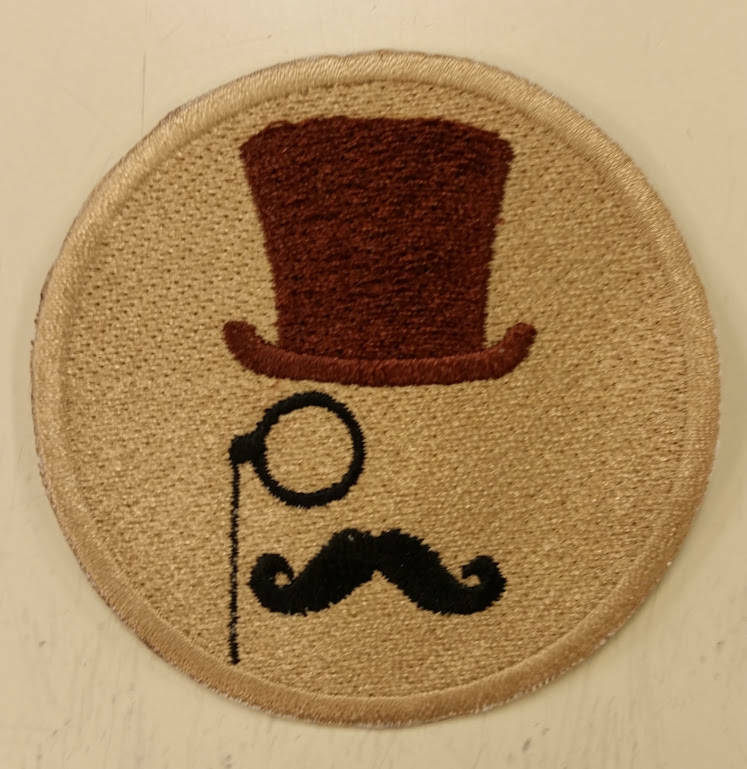 Check out this cool embroidered patch of man's face with tophat, mustache and eyeglass. 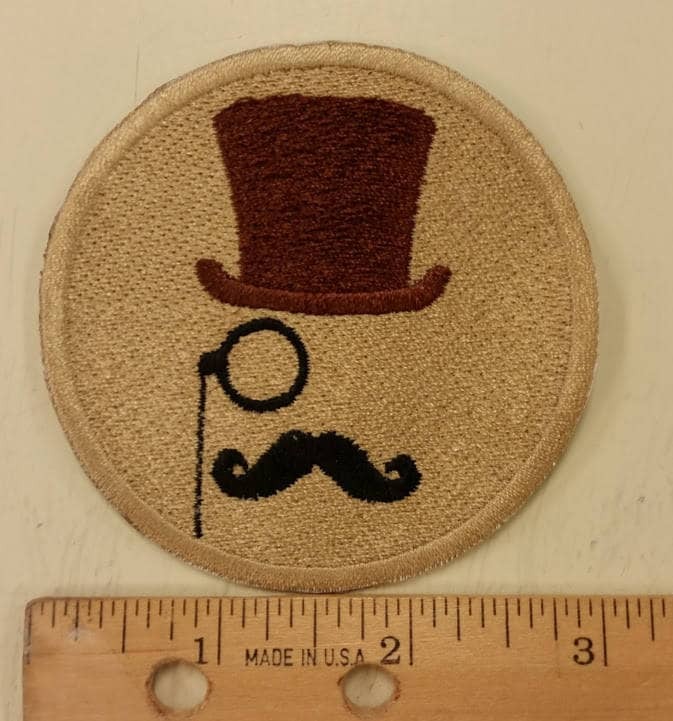 It is sewn with khaiki thread, dark brown thread is used for the tophat and the mustache and eye piece is sewn in black. This patch is 3" in diameter. It has an iron on adhesive to help with application on your garments or gear.